This year marks the third edition of the AADLA Spring Show NYC at the Park Avenue Armory. 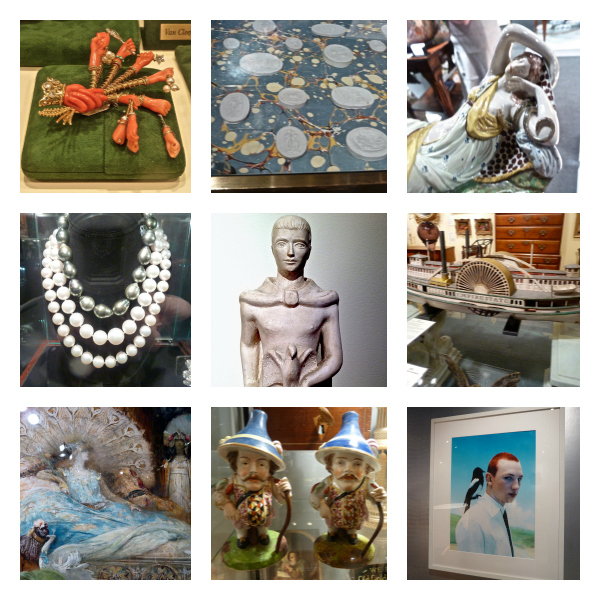 Wednesday evening I attended the festive opening night preview, sponsored by 1stDibs. With ticket proceeds from the evening benefiting the ASPCA, there were some charming visitors welcoming guests, ready to go home with interested bidders. And there was a lot to desire at this show. Two of the more fabulous offerings were collections in and of themselves. 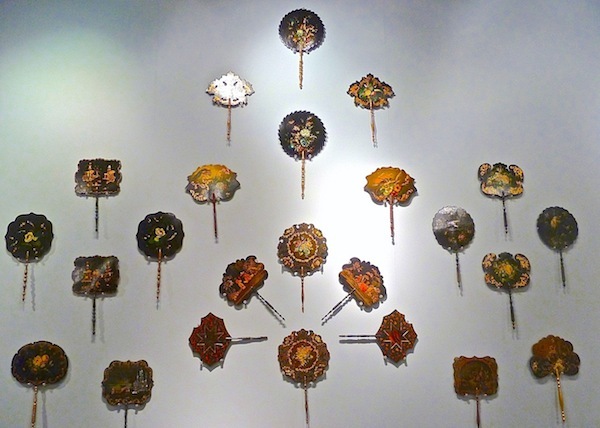 AADLA President Clinton Howell, who specializes in English 18th century antiques, showed an exquisite grouping of 26 face screens made of wood and papier mache. Artfully displayed these paddle-like pieces had the practical purpose of protecting women’s faces from becoming heated and red from the heat of the fireplace. I would have been so in-fashion in the mid-late 19th century as pale complexions were particularly prized. 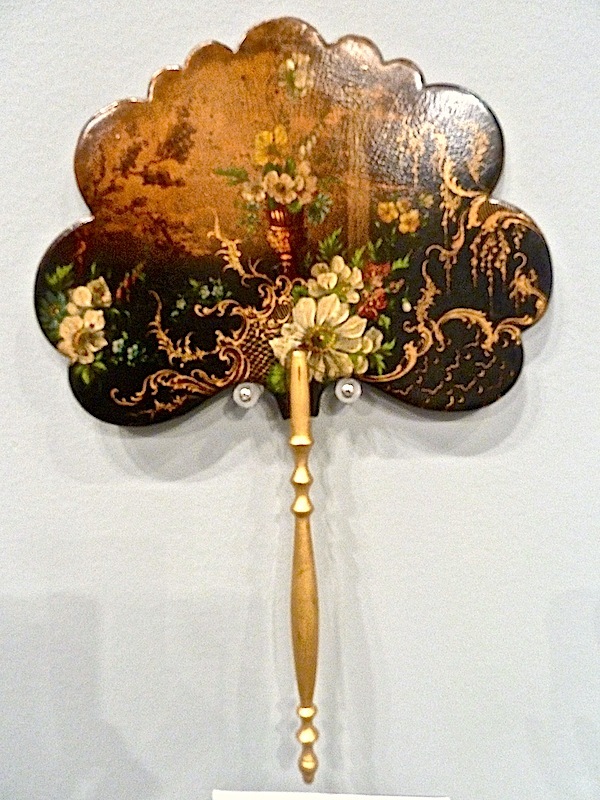 Beautifully painted and lacquered, they included charming details such as pearls and gilded handles, as above, or mother of pearl in the chinoiserie themed example below. 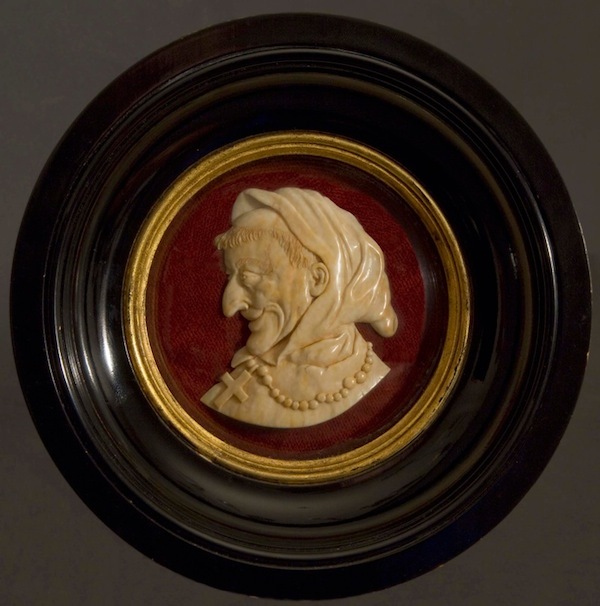 Over at the distinguished Carlton Hobbs was a set of twelve early 19th century ivory “antipapal” studies. Beautifully framed (at a later date), they are magnificent as visual objects but are also intricately tied to the history of the period. These have a particularly interesting story. 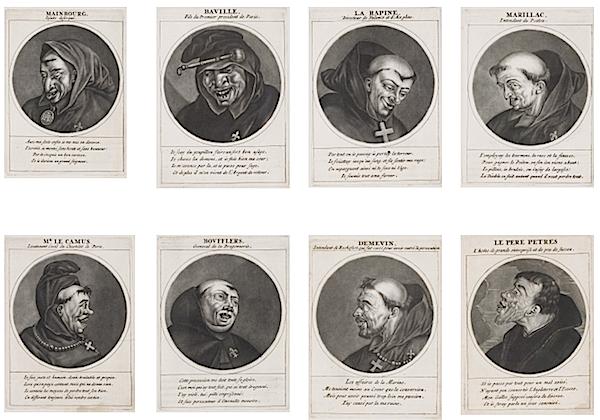 Based on a series of satirical engravings published in 1691, each roundels depicts a caricature of one of the 12 enforcers of Louis XIV’s anti-Huguenot campaign. When Henry IV revoked the Edict of Nantes, making Protestantism illegal, hundreds of thousands of Huguenots fled the country for England and Holland, as well as other nations. Once out of France, the Huguenots were free to express their “hatred of their French oppressors” in satires like Les Héros de la Ligue,” above. This volume, with its exaggerated parodies, mocks members of the French Catholic League and was the basis for the ivories. 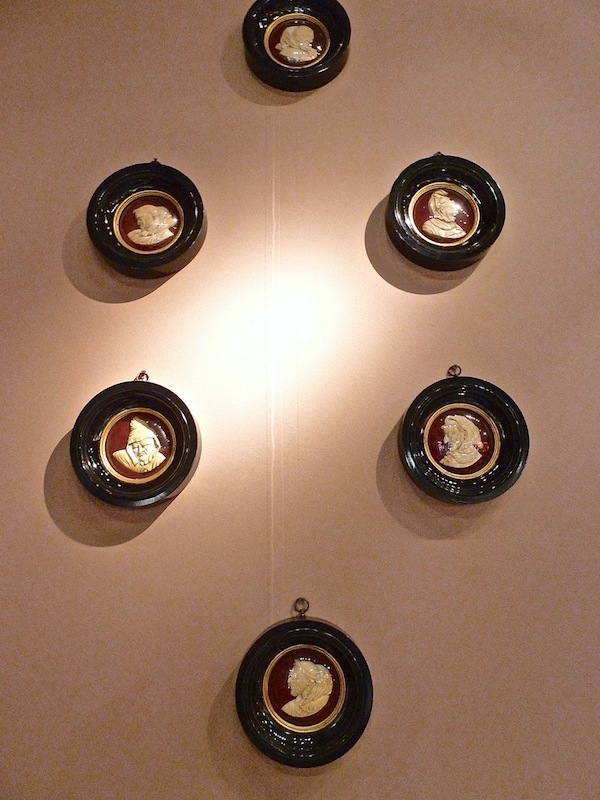 “Each portrait in Les Héros de la Ligue is headed by the name and title of the person, and accompanied by appropriate quatrains describing their misdeeds.” Not only do you get a distinctive wall aesthetic but a piece of history as well! We’ll be taking a look at more from the wonderful AADLA Spring Show but if you are in or near the city this weekend, don’t miss out on seeing the show or visiting some of the excellent salon events that continue through Sunday, several of which include curated guides through the show. This entry posted in art, auctions, design, furniture, interior design. 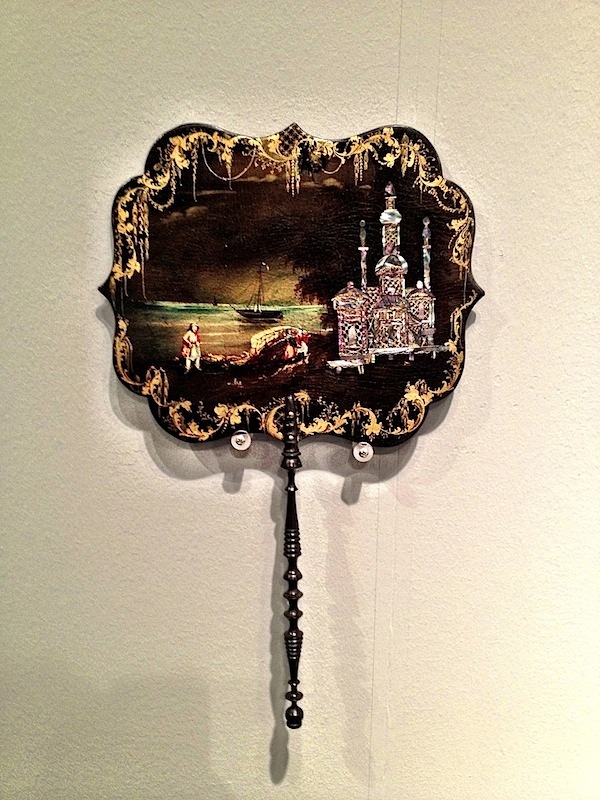 Entry Tags: antiques, art, interior design, Spring Show NYC Bookmark the permalink. 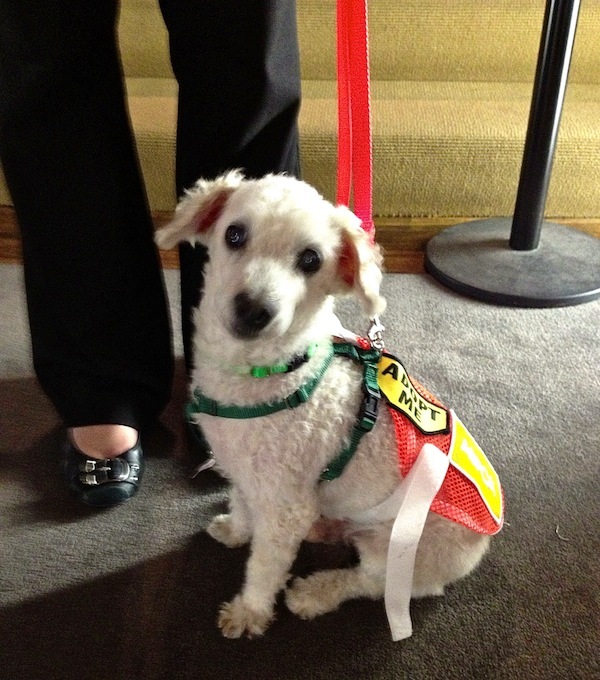 The ASPCA is such a worthy cause and if we could adopt more pups, we would! You always touch upon the most fascinating stories and we’re thinking those face screens would come in handy at regattas and lacrosse games. Have a wonderful weekend, Q! 79 queries in 0.347 seconds.